It all makes perfect sense. For the Seller… For the Buyer… "FOR YOU…." Start by calling us now at 360-624-5523. 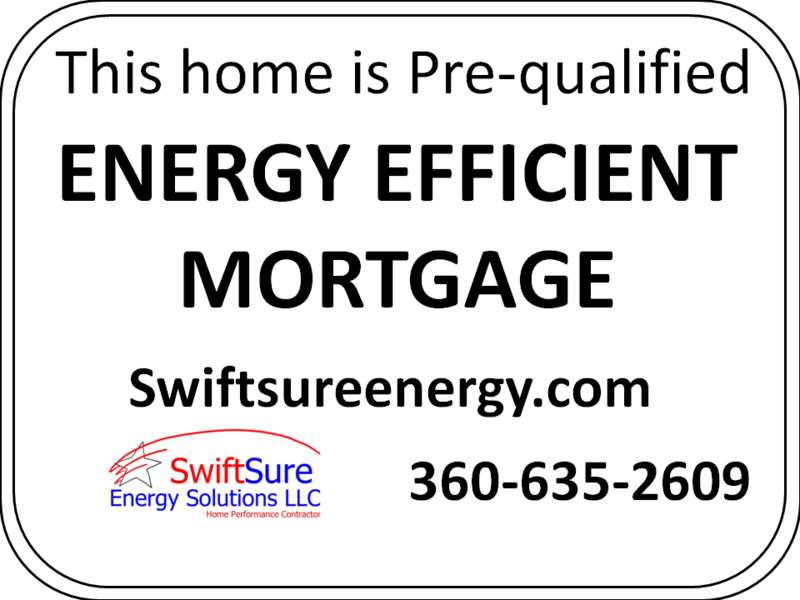 Getting a home Pre-Qualified for an Energy Efficient Mortgage is "THE SMARTEST" method to attract attention and is your ticket to increasing sales. This is where the future is. An EEM takes into account the energy costs of the home. As the single largest housing expense after a mortgage payment, utility costs have a direct impact on how large a mortgage your buyer can afford. An EEM allows for upgrades and repairs to be made and wrapped into the mortgage. The subsequent combination of Mortgage and Utility bills will be lower and saves money right away. Why get a home pre-authorized? The savy seller or agent will always consider an EEM. Consider it free money to get a furnace, water heater, insulation, duct-sealing, etc.. The home can be pre-authorized for an EEM. Any potential buyers will then know that the monthly expenses for the home will be lower than any other house without an EEM. New appliances and system upgrades will be built into the mortgage and work done prior to move-in. 1. Call us right away to learn more. 2. Have an Energy Audit done which will create the RESNET HERS Score. 3. Energy audit and HERS report are done. List of prioritized improvements are available for buyers to choose from. 4. Put out the sign on your front lawn and use the HERS report in all marketing material for the home. 5. 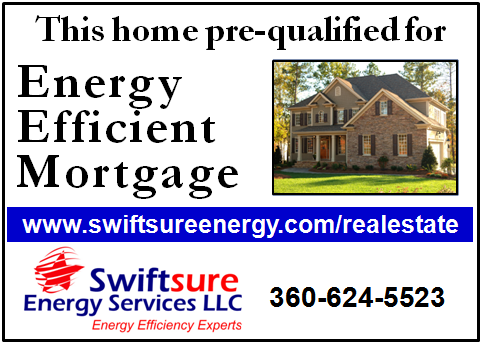 When the accepted offer is complete, contact Swiftsure Energy Services for assistance in every step of the loan process. Our team of energy mortgage experts, appraisers, HVAC experts, appliance, and remodel experts all work together to see that all dates are met. The HERS Index is a scoring system established by the Residential Energy Services Network (RESNET). A home is compared to a standard HERS Reference Home which scores a HERS Index of 100, while a net zero energy home scores a HERS Index of 0. The lower a home’s HERS Index, the more energy efficient it is in comparison to the HERS Reference Home. That credits a home’s energy efficiency in the mortgage itself. EEMs give borrowers the opportunity to finance cost-effective, energy-saving measures as part of a single mortgage and stretch debt-to-income qualifying ratios on loans thereby allowing borrowers to qualify for a larger loan amount and a better, more energy-efficient home. 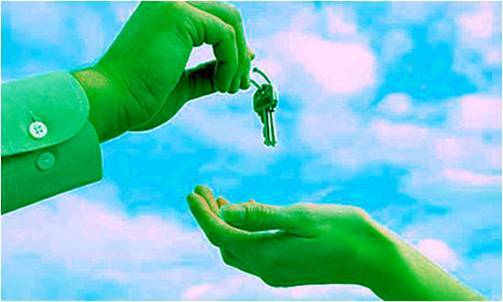 The Environmental Protection Agency has a web page dedicated to Energy Efficient Mortgages. An energy efficient home offers several key benefits that can be clearly stated in terms understood by all. This saves money, "lots of money"! 78% of buyers say nobody talked to them about energy efficiency. 62% of people want energy efficient dwellings. Catering to the "Green Client"
An ever increasing segment of the market is interested in living close to the environmental movement. The Portland Metro area is a strong mecca for buyers interested in Real Estate Professionals can gain a "competitive edge" by marketing properties with “green” features. Realtors can help clients to "save money and live comfortably" through energy efficiency and environmentally-sensitive choices. “Fully committed to sustainability for the long-term, green home buyers and remodelers cut across all demographic lines, regardless of income, zip code or anything else. Builders are seeing great interest in green across all income levels,” said Robert Ivy, vice president and editorial director of McGraw-Hill Construction. 70% of buyers are either more or much more inclined to purchase a green home over a conventional home in down housing market.